Rachel Hodges is currently finishing her Master’s degree in early childhood education and part of her final project involves raising awareness around the topic of technology in the classroom and tracking her impact. We are going to participate and help her out. I will let her explain. “As an education major, I was always interested in the latest developments in teaching. Now, I’m finally putting my curiosity to good use. I’m currently in the process of finishing my Master’s degree in early childhood education. Part of my final project involves raising awareness around the topic of technology in the classroom and tracking my impact. Admittedly, before I started my research, I only considered the aspects of technology that were beneficial for children in a classroom setting—how it can be used to subsidize one-on-one education from teachers. With things like educational games and online lessons, technology helps children in overcrowded schools to receive a more personalized experience, tailored to their learning style. But since I’ve started my research, I’ve learned that technology isn’t just an important aspect of education for children in overpopulated classrooms. It’s also important for homeschooled children. Here are just a few apps I’ve come across during my research that have made a significant impact for homeschool families. 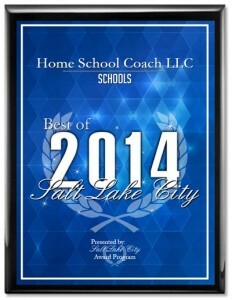 The Homeschool Helper App is consistently rated as one of the best apps for homeschooling moms, earning it a spot on Homeschool Academy list of “The Top 10 Best Apps to Keep Your Homeschool Routine Organized.” Compatible with all mobile and tablet devices, Homeschool Helper serves as a hub for all of your homeschooling needs. 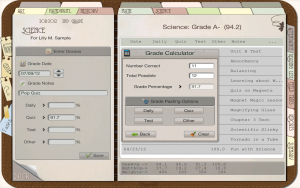 Its features include a grade calculator, book lists, and lesson management. You can track progress for an unlimited number of students while creating report cards and student summaries. It allows parents to focus more on teaching, because the app takes care of the rest. With Evernote, your lesson plans go with you wherever you are. You can make weekly itineraries, create next year’s curriculum, and track grades. Merge notes and reports for organized bookkeeping, and retrieve them at any time for reference, from anywhere. Ed Snap Shots contributor, Mystie Winckler, also said they’re perfect for saving ideas and articles you come across online. “Using the web clipper, the email-to-Evernote function, or the ability to save pdfs to Evernote, I have saved articles, product reviews, and other online ideas into a notebook for homeschool resources and inspiration.” Winckler wrote. With this app, you can forget the paper, and never forget your work. Monkey MathSchool Sunshine was created by THUP Games, the same developers that create educational and fun games for big-name clients like Cartoon Network and Nickelodeon. With Monkey MathSchool Sunshine, children ages 3 to 6 can enhance their mathematics skills using nine different interactive games, each of which can be adjusted to the skill level of the current player. Because of its ability to seamlessly combine education and entertainment, the app was named by Verizon Wireless as one of the “5 Best Educational and Learning Apps for Toddlers” on this list. I still have a lot to learn when it comes to the incorporation of technology and homeschooling, but I’m sure of one thing—no matter where a student is learning, the educational benefits of technology are universal. Check out a few of these apps for yourself and see how they can help your homeschooling plan. This guest post was written by Rachel Hodges. In addition to finishing up her Master’s program in early childhood education, Rachel enjoys writing about technology in the classroom. In her free time, she writes short stories and binges on Netflix. She would love to hear what you think about the apps. : ) Leave her a comment.